On a recent trip to the Magic Kingdom in Orlando my family was walking down Main Street heading for one of our first fast passes of the day. Even though the street was crowded with families heading in all various directions and take thousands of pictures I was suddenly overwhelmed with emotion. This magical place was the host to many of my most treasured memories, both when I was a child and also now that I’m older and taking my own children. This was all thanks to one truly imaginative individual Mr. Walter Elias Disney. As I’ve gotten older my interest in the behind the scenes story of the theme parks has become an obsession all its own. But the biographies of Walt Disney are something I just can’t get enough of. From his childhood all the way up to his all too early death it’s a true Disney fairytale with lots of ups and downs. What is truly remarkable is how many times Walt was confronted with failure but instead of giving up it only made him stronger, and learn from his mistakes. Each time I read about these failures it seems that most people would have given up. This seemed to be the emotion that took over as I strolled down main street trying to image what life would have been like without Disney. Too be honest that’s almost too painful to even try to contemplate, but thankfully Walt would not be dissuaded from seeing his dreams come true. He was a man full of imagination and was always capable of sharing some amazing words of wisdom some of which we will review shortly. 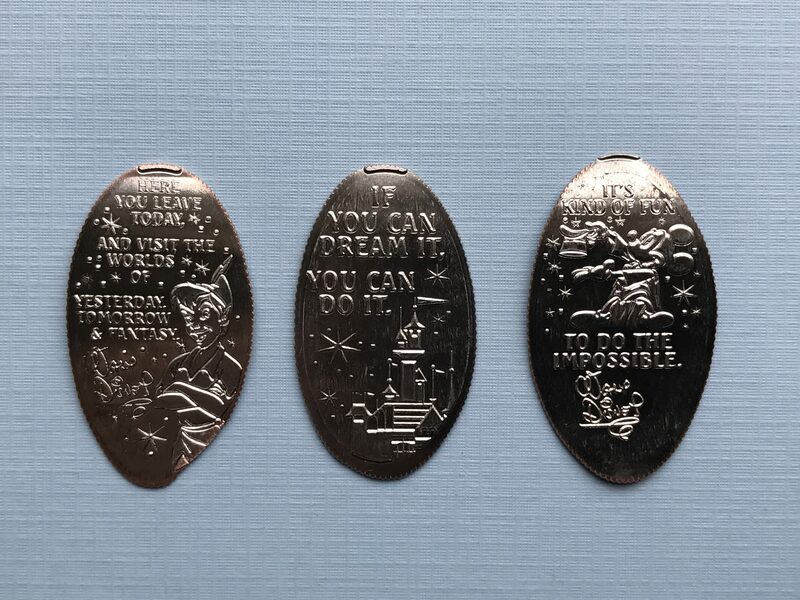 I could go on and on about my admiration for Walt Disney but this is all leading towards a brand new set of pressed quarters that was made available at the Disneyland theme park. 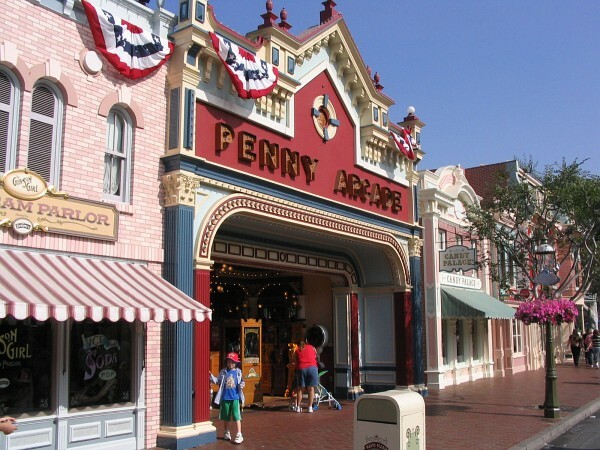 Located in the Main Street Penny Arcade which used to be home to a large assortment of penny press machines. Over the last few years all the machines were removed due to some renovations and unfortunately were never replaced. With this first new machine hopefully many more will be on the way. 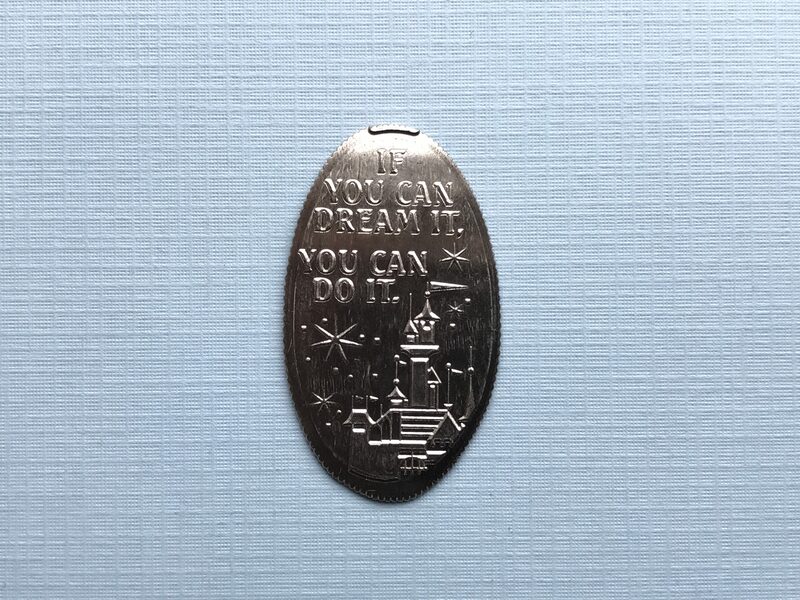 This pressed quarter set is being unofficially called the Walt’s Quotes set. 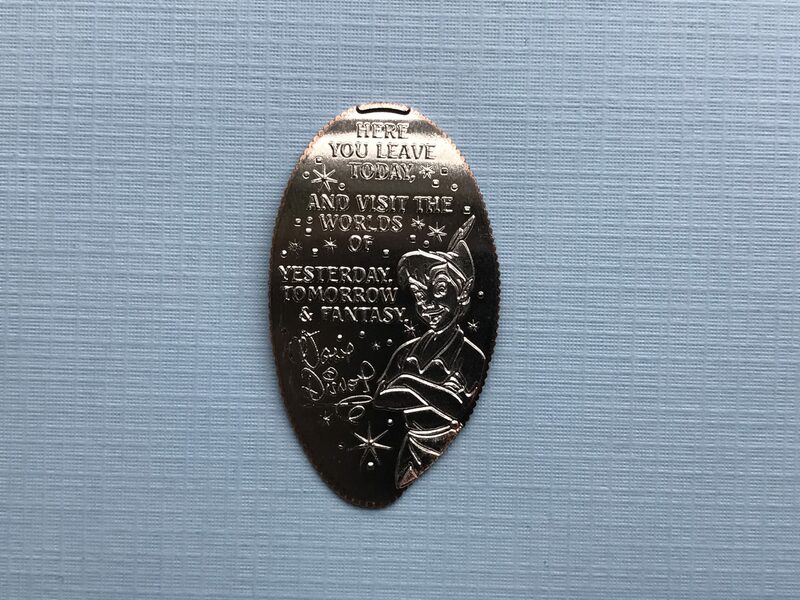 Each coin has one of Walt’s famous which I think is really a special addition to any collection. 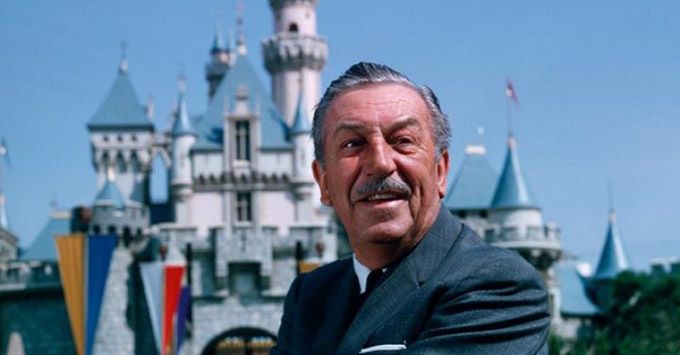 The next time you visit one of the Disney theme parks beside to take a moment to remember this real world wonderland that millions of people enjoy each year was all thanks to one remarkable person and his team of visionaries and imagineers. 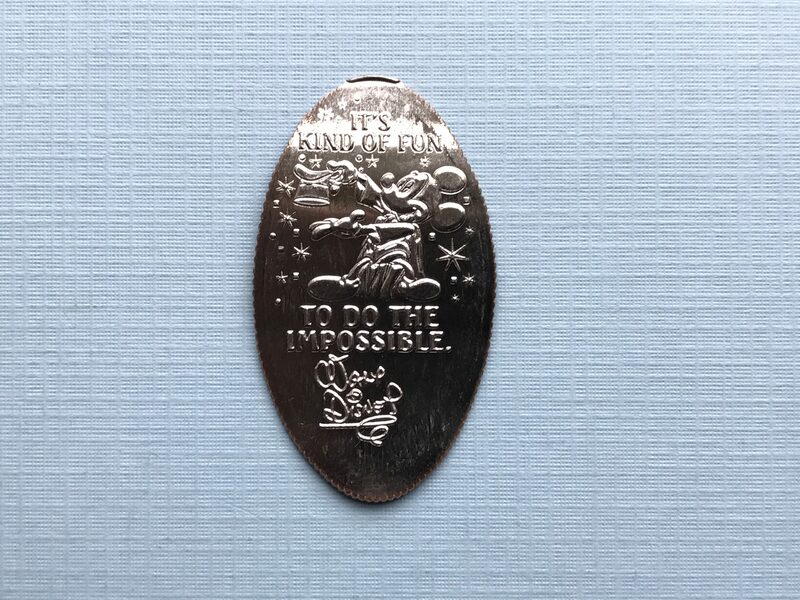 Summer vacations, family movies and yes pressed coin collection would all be very different without him.